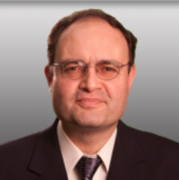 Fernando Alvarado, M.D., M.P.H., F.A.C.P. joined IDC in 2000. He received his medical degree from the Colombian School of Medicine in 1989, later trained in Internal Medicine at Washington University in St. Louis, MO and earned his Fellowship in Infectious Diseases at Tulane University in New Orleans, LA in 1997. Dr. Alvarado is a Master of Public Health and Tropical Medicine from Tulane University. He has extensive field experience in tropical diseases and malaria in Colombia and attended the Diploma Course of the Bernhard Nocht Institute for Tropical Medicine in Hamburg, Germany in 1992. Dr. Alvarado is credentialed as an HIV Specialist by the American Academy of HIV Medicine. He is also Board Certified in Hyperbaric Medicine by the American Board of Preventive Medicine. He treats patients requesting Travel Health Services at IDC, offering vaccinations and counseling as well as immigration physicals. Dr. Alvarado is a Fellow of the American College of Physicians and a member of the Infectious Disease Society of America, Seminole County Medical Society, the American Academy of HIV Medicine and the Florida Infectious Disease Society.